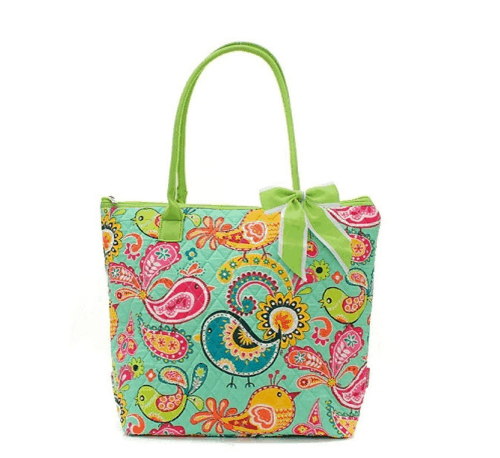 Quilted Bird Tote Bags ONLY $23 SHIPPED! You are here: Home / Great Deals / Quilted Bird Tote Bags ONLY $23 SHIPPED! Perfect for SPRING! Quilted Bird Tote Bags ONLY $23 SHIPPED! Right now you can grab one of these super cute Quilted Bird Tote Bags for ONLY $23 SHIPPED! They have blue, green, and yellow – all PERFECT for Spring!